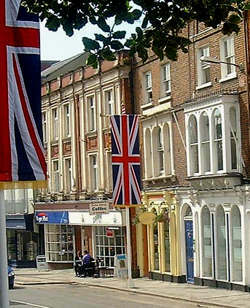 Windsor is particularly well served when it comes to shops. 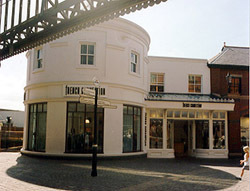 As a tourist town there is a wide selection of gift shops around the castle together with stylish shops and restaurants in Windsor Royal Station as well as an excellent department store, Daniels, a little way down Peascod Street. Daniels is noted for its toy department, the best in the area. 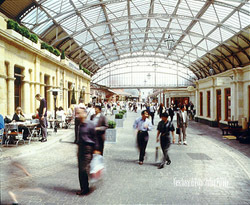 We also have an excellent Marks & Spencer store in Peascod Street and a large Waitrose supermarket in King Edward Court. There are over 300 other shops within this area, many being famous names that one would normally only expect to find in London. 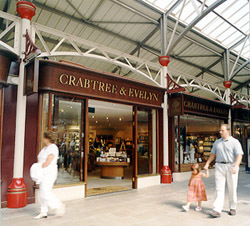 Windsor Royal Station is town centre shopping as you have longed for it to be - a destination on your doorstep. 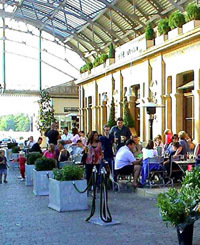 Stylish shops and restaurants of repute, its architectural elegance creates an area to shop, eat, meet and simply enjoy. What is more, the train service from Reading and Paddington directions stops right in the concourse! Simply change at Slough. Visit the concourse where a collection of small, independent businesses have personally sourced a unique range of gifts, accessories and homewares. Peascod Street is an extremely old street and as such confounds visitors with the strange pronunciation of its name. Locally it is known as 'Pesscott' street', not, as it might seem, 'peez cod street'. As you might expect from one of the oldest streets in the town, it offers a wealth of shopping from top to bottom! 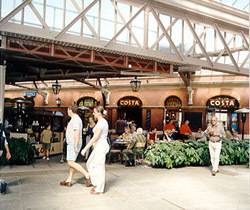 In order to make the experience even more pleasurable, the entire shopping area was closed to traffic and turned into an attractive pedestrian precinct in the mid 1990s. Parking for this area, including the High Street and Thames Street, is best at King Edward Car Park, a large multi-storey car park accessed from Arthur Road. By parking in King Edward Car Park, there will be no roads to cross for almost all Windsor's shopping areas accessing as it does straight into King Edward Court. Here you will find many shops of all kinds including Waitrose supermarket and Boots. Daniels is an important store for Windsorians, the largest in Windsor, with a very fine toy department in addition to bedding and clothes and a variety of other departments. There are entrances from both King Edward Court and Peascod Street. Next, Laura Ashley and Monsoon are all to be found in Peascod Street, as is the main Post Office. Jones Bootmaker create high quality, stylish collections of boots and shoes. Alongside their own brand footwear for men, women and children, they also sell ranges from some the most respected footwear brands. LOCATION: To the west of Windsor Castle and Queen Victoria Statue, running down the hill past the Curfew Tower.